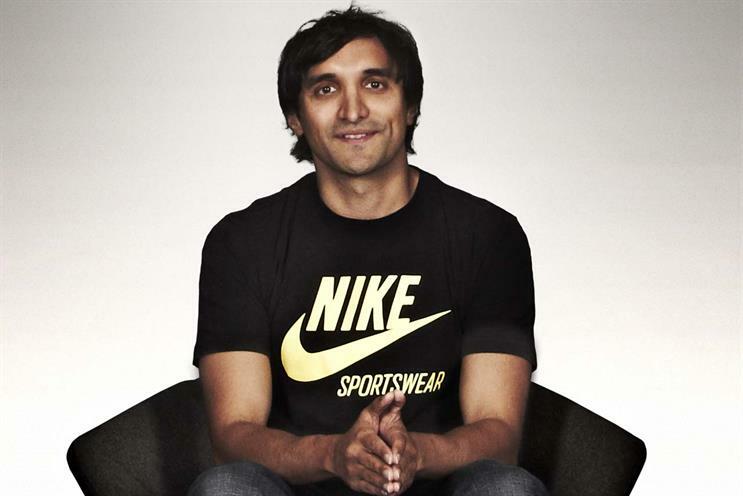 AKQA founder Ajaz Ahmed spills the beans on whether he's still loyal to Nike's defunct FuelBand, and how he'd like to be paid by future investors. The Reading native was named an MBE in the Queen's Birthday Honours list on 8 June for services to media. Earlier this month, AKQA - which Ahmed co-founded with James Hilton in 1994, at the age of 21 - announced a deal that will take the digital design agency into new territory. It is acquiring a majority stake in Universal Design Studio and Map Project Office, both of which were founded by the same duo, Edward Barber and Jay Osgerby, who body of work includes the London 2012 Olympic torch. Campaign caught up with Ahmed to hear about his outlook on technology, society and Berkshire. Who called Martin Sorrell an 'annoying buzzword'?